This time of year a lot of people tend to be more SAD. 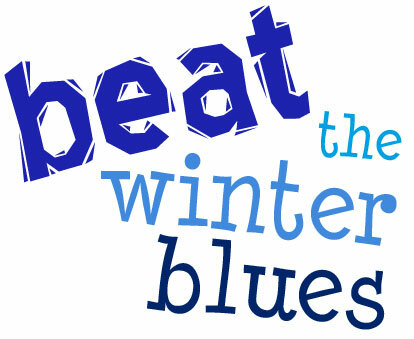 I’m talking Seasonal Affective Disorder, aka seasonal depression. I’m guilty of having this problem every year or two, and I find it gets to me the most in the early “spring” (probably because this is Utah and spring doesn’t happen until the end of May)! Symptoms typically include excess sleepiness, lethargy, increased appetite, social withdrawal, and feelings of unhappiness. To learn more specifics check this out. For this little blurb, I would like to suggest NATURAL ways to help you during this dreary time of year. (By natural I mean your doctor probably won’t tell you these tips, he will be too busy trying to prescribe you the happy pill). Start by eating a diet of whole-rather than processed-foods that doesn’t include a lot of sugar or starches. Consider supplementing or incorporating foods rich in b vitamins. Food sources include: green leafy vegetables, brown rice and whole grains, lecithin, brewers yeast, meats and liver, oats, bananas, avocados, legumes, and brazil nuts – to name a few. Get fishy. Increase your fish intake to at least two servings per week and consider supplementing with fish oil capsules. Fish oils are high in EPA/DHA which promote increased neurotransmitter production and brain development. Anything that supports a healthy brain is going to support a healthy mood. 5-HTP: This is a good one. I am personally not a huge supplement person, but I did try taking this for a hot minute and it helped me during times when I had insomnia and anxiety. Some of you medical or biology geniuses out there might know that our body can convert the amino acid tryptophan to serotonin (serotonin is the neurotransmitter involved specifically with our moods). What’s tricky though, is that trpytophan is used for a lot of functions in our body so by increasing our meat and protein intake, we can’t always be sure that the individual tryptophan amino acids will be used to convert to serotonin. The good news is 5-HTP is a by product of tryptophan that is used specifically for the serotonin producing pathway. Start with 50 mg a day (I would say at night because it can cause sleepiness) and build up to 100 mg if needed. This supplement only needs to be taken temporarily and therefore is perfect for SAD. Increase your physical activity. Even if it is just going outside for a 15-20 minute walk. I guess we have been lucky here in Utah that the winter has been so mild; I haven’t had to pull out my snow boots once! So grab a scarf and get outside! Remember how physical activity increases endorphins in our bodies? I mean who doesn’t love that feel good high you get after a good work out!? We like to move it move it! I love em’. These little but mighty guys top the fiber-rich charts and also provide essentials like magnesium, folate, and lean protein. And did I mention low calories? 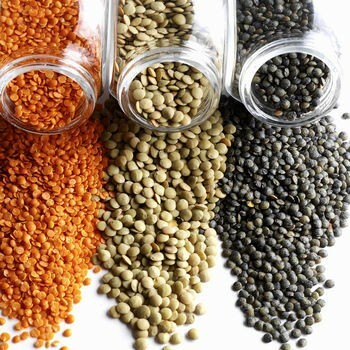 To be more specific, 1/4 cup cooked lentils has 15 grams of fiber, 12 grams of protein, and 60 calories! 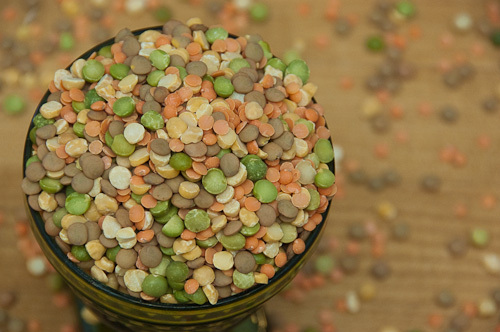 (unfortunately lentils are missing one or more amino acids and are not a complete protein, so when you cook them combine them with grain or cereals). Salad: Toss together cooked lentils; canned or fresh salmon; diced red bell pepper and red onion; chopped parsley; and lemon-dill vinaigrette. It’s fun to serve this in butter-lettuce cups. Meat loaf: Instead of bread crumbs, mix half a cup of cooked, partly mashed black, brown, or green lentils into your regular meat-loaf recipe. Dal: I don’t think lentils without thinking Indian! Mix cooked yellow or red lentils with premade red curry sauce, chopped fresh tomatoes, silvered onions, and cayenne pepper to taste. Sprinkle with fresh cilantro and serve with basmati rice. Also check out RECIPES above for a braised Le Puy lentils with Chard! First off, charts of the ALLOWED and to AVOID grains. These lists will come in handy when reading all the processed foods with laundry lists of ingredients. Overwhelming much? It is kind of. But if you are needing a gluten-free diet, it gets easy with time. I would recommend making little charts to keep in your wallet so when you shop you can compare ingredient lists to your list. 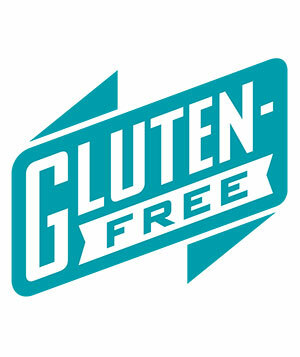 This way you can feel confident whether or not a product actually is gluten-free even without the official logo. Or you can stick to eating a whole foods diet so you actually know what’s in your dinner. It’s appropriate to add here that you will need to also read ingredient lists on makeup, toothpaste, vitamins, medications, and other cosmetics or supplements. It may seem impossible and unnecessary, but it is. 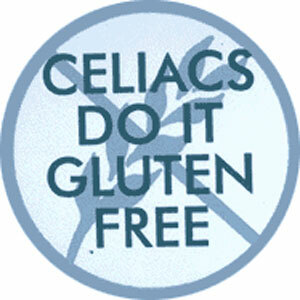 A lot of newly diagnosed Celiacs, when first starting a gluten-free diet, feel loads better and the symptoms quickly disappear. But just because over time the symptoms subside, it doesn’t mean damage isn’t still being done by little ingredients in your fluoride. So please be aware of this and in no time you will be an expert ingredient reader! Reading Labels: Always check ingredient lists. As we just learned, it’s easy to spot a wheat product, but is it obvious by the front graphic whether or not there is malt in the product? Side note- one time I did a three day gluten free challenge and made it to the last hour and failed because I ate Sour Patch Kids (there’s dextrin in the ingredient list). Bummer. So lesson learned, it’s very important to read labels. And of course, sometimes it still isn’t that easy. I learned from the my last job to really utilize the number the package will provide that says “Question or Comments” because I made several calls for customers to see if a product could be verified gluten-free. Shopping: The good news is lots of grocery stores and markets are carrying a large variety of gluten -free products, especially the health food stores. You can now buy gluten-free bread mixes (thank goodness! cooking gluten-free bread from scratch can be a nightmare! ), cereal, baking mixes, cookies, and crackers. Ya know all the healthy stuff. It seems easier to me to just eat whole foods, cut out the bread products, and add more vegetables instead of processed and boxed gluten-free grains. Less of a hassle, more health benefits. Win win. But that’s just my opinion. Eating Out: Learn to speak up. Ask the waiter specifics about what is added during the cooking process. 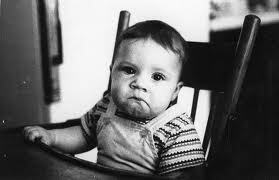 You may order a stir fry with veggies and rice but then find out the teriyaki sauce is not gluten-free. Be aware of cross contamination. Some french fries may be fried in the same oil as the breaded chicken nuggets. And with that being said, don’t choose breaded meats and fishes. Use oil and vinegar for salads and leave off the croutons. At this point I could go on and on about the things to avoid, but I would rather give tips that help you make choices. Unfortunately this post is too long. Check back for more dinning out specifics and my favorite recipes. Here we go, part two. First fact, 2 million people have Celiac Disease in The United States, that’s 1 in 133. Quite significant. How do you know if you have Celiac Disease?? The diagnosis of Celiac Disease is made by a combination of clinical, histological, and laboratory evaluations, but a small bowel biopsy is really the only true and final diagnostic confirmation. I am amazed how many people tell me they have Celiac Disease, but when I ask if they have had a biopsy? The answer is no. The only reason this concerns me, is that having to abide by a gluten-free diet is incredibly annoying for the lack of a better word. It’s even becoming a trendy diet in Hollywood, so people are real quick to jump on the bandwagon. I would recommend getting official testing done (aka the biopsy) before making such an extreme lifestyle change. 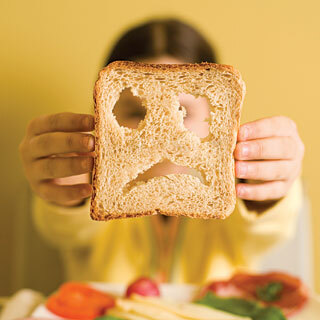 Check out this article here for information on other types of gluten intolerances and testing. As I mentioned in part 1, Celiac Disease has symptoms similar to IBS or other intolerances (ahem, lactose) so I would say it’s important to really know what’s going on with you and how to best treat it. With that being said, check out my all time favorite website the Mayo Clinic to learn more about the different diagnostic tests and everything you would really want to know about Celiac Disease. Coming up next, how to actually eat gluten-free. I’ve been asked to do some consults with people with Celiac Disease and Gluten intolerance coming up the next few weeks, so I thought I would prepare here on my little blog. It’s a lot to take in and my blogs tend to get long, so I am breaking it up into segments. So what is Celiac Disease or gluten-intolerance? Essentially it is a disorder of the intestines. Our digestive tract and intestines are protected by physical and chemical barriers so when we digest potential antigens from bacteria and foods we have enzymes and gastric juices that protect us. Our immune systems under normal conditions can recognize the foreign and harmful antigens and destroy them. But in the case of Celiac Disease (caused by genetic susceptibility and an unknown trigger) exposure to gluten causes an abnormal immune response; gluten for some strange reason is targeted as a bad guy. Gluten refers to specific peptides in proteins found in wheat, rye, and barley. Oats are also considered a gluten product, because like I mentioned previously, they are almost always processed with other gluten products therefore exposing oats to the gluten protein. Gluten is responsible for the spring and stretchiness in breads. Villi are these little finger-like projections that line your lumen or intestinal tract. This is one of those physical barriers that protects your insides from damage. 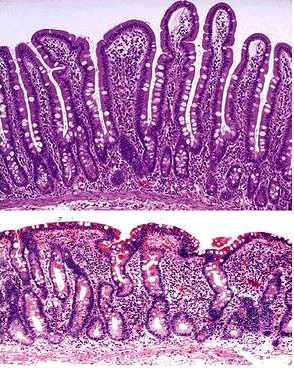 The picture above shows some normal healthy villi, and the picture below shows what happens to those sensitive to gluten. Doesn’t look pretty, and you can bet it doesn’t feel pretty either. If the disease is untreated the villi becomes so damaged it can no longer secrete the enzymes that break down proteins, fats, and starches. AKA a person will no longer be able to absorb nutrients and will soon be faced with many other nutrition related problems. Anemia, weight loss, dermatitis, issues of the liver and gallbladder, even as old school as beri-beri perhaps. Sounds fun right? And unfortunately the only treatment is a gluten-free diet alone. And I’m talking a life long diet, not one of those 3 month Jenny Craig’s. This post seems like such a downer so please look forward to the next parts on diagnosing ,treating (aka diet), and meal plans! Going out tonight? 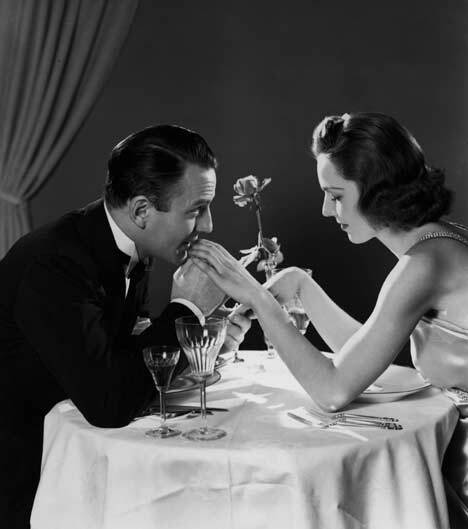 Whether you are dinning in or going out with your sweetie, check this article out. I’ve got some food service background and these tips are great. Take two minutes before you primp up for your big date! Raise your hand if you have ever tried a fad diet? Don’t know what I mean? Try South Beach, Blood Type, Atkins, Total Body Makeover, Fat to Fab… ring a bell? I’m going to guess everyone has, even if it was for only 2 hours. 2 things I love most about this book. One, it is actually written by dietitians (is it just me or is it weird that hardly any nutrition books or diets are actually written by dietitians? 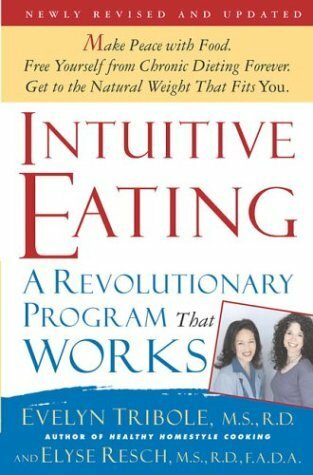 ), and two, it is a an eating plan (not a diet) that is totally intuitive. The first time I read this book I thought it was written for me. It describes perfectly different complexes we all seem to have with food. Like why we really gain 15 pounds our freshman year, and why kids are the only ones who seem to be able to eat when they are hungry and stop when they are full. I won’t babble too much about this book but I will say it is for everyone. Whether you struggle with over-eating, under-eating, or chronic dieting. Healthy eating is the ability to see a fresh batch of chocolate chip cookies and either eat a few because they are so delicious without feeling guilty, or eat only one and know they will still be there later. I didn’t get that from the book, but it embodies a lot of the ideals of this book. And isn’t true that that’s a lot harder than it should be? Anyway, I recommend this book to everyone I talk to. And the best news is, it’s only $10 on Amazon.